In as much as you have your favorite brand when it comes to smartphones, we have some diehard fans of Nokia device. As a matter of facts, Nokia 6 is not just in high demand but everybody wants to have a copy of it. 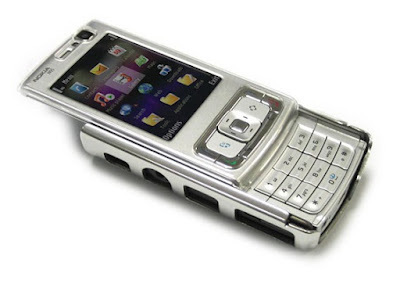 I’m sure you still remembered your Nokia N series mostly powered by Symbian OS. Those days, those who possessed the Nokia N series were the big boys; strong and long lasting battery good enough for gaming. The good news is, HMD intend to resurrect Nokia "N series" with something you’ll love; according to the latest rumor, Nokia is planning to drop a smartphone called Nokia N95 which would likely be launched along with other new Nokia releases at the MWC 2017 in Barcelona. The Nokia N95 is said to use the Qualcomm Snapdragon 600 series chip which we hope will be the SD 652. The choice of SoC places the N95 in the mid-range category and Nokia is said to target up to 50 million units in cumulative sales from the N series. Nokia returns is not just to mark attendance but to be the Mobile Cheer Leader.